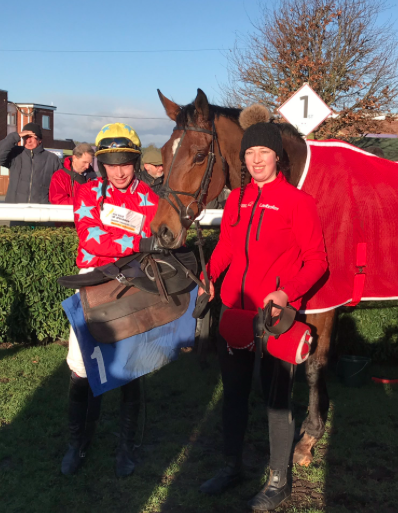 This afternoon’s action at Ludlow & Market Rasen saw a superb across the card treble courtesy of Bridget Andrews & Will Marshall. With Harry suffering from a nasty bout of sickness Bridget stepped in to take his four rides at Ludlow, the first of which – Notalotterry’s Humble Hero – was beaten a short head in the opening novices’ hurdle & dead-heated for second with Tom George’s Ballon Onabudget. After a nasty spill from Gortroe Joe in the handicap chase, Bridget bounced back quickly to win the following mares’ handicap hurdle aboard Gold Chain. 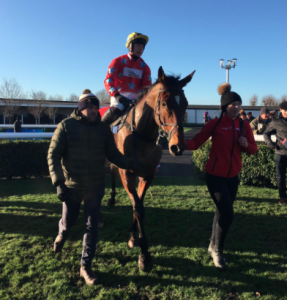 In the concluding bumper on the card, she lined up on Mr & Mrs Pink’s Irish point winner Getariver, who ran out an impressive winner and looks sure to be a lovely horse for the future. Up at Market Rasen Will Marshall took over as Bridget diverted to Ludlow, reaping the rewards as Mark Adams’ Value At Risk kept on well up the straight to hold off nearest rival Terry The Fish by half a length, in doing so give Will his third winner under Rules. 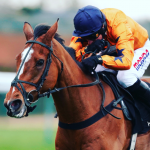 It was brilliant to see ‘Value’ back to winning ways as he was scoring for the first time since winning in Listed company at Ayr last April. 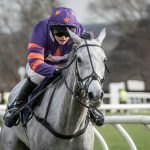 With just the one runner tomorrow at Chepstow it could be a busy weekend with entries on Saturday at Ascot & Haydock, as well as Ayr & Exeter on Sunday!